FIFA’s World Cup 2018 kicks off in less than 24 hours and if you’re anything like me, you must be giddy with excitement. Even if you aren’t, it’s easy to get swept up in all the fanfare that a World Cup brings with it and even while the USA isn’t part of the event this year (sorry, folks! ), there is still a lot of football to enjoy over the coming weeks. With so many matches happening every day, it’s likely that you will want to be able to catch the action on your smartphone or maybe a computer here and there. If you’re lucky enough to have access to the BBC iPlayer app, then you can even watch in glorious 4K UHD, but we’ll get to that in a minute. For everyone else, though, here’s how you can get your World Cup 2018 fix over the next four weeks. If you’re living inside Apple’s ecosystem, then you have a couple of options depending on where you live. 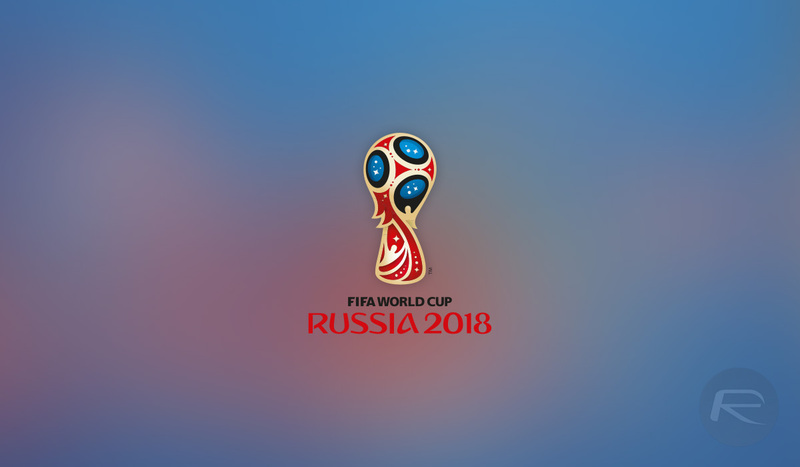 In the US, you’re going to be using Fox Sports (via Sling TV or DIRECTTV NOW subscriptions) but if you’re in the UK, head on over to tvplayer.com/apps and enjoy the show. Canadian? You can get your football fix via both the CTV GO and TSN GO apps. If you’re an Android user, then it’s much the same story because again, if you’re in the US of A, it’s over to Fox Sports (via Sling TV or DIRECTTV NOW subscriptions). UK viewers will again be able to get the Android version of the TVPlayer app from tvplayer.com/apps, and you guessed it, Canadians will want to use the CTV GO and TSN GO apps. When it comes to the web, there are a lot of options to choose from. In fact, there are so many choices to be made from worldwide broadcasters, streaming options, and their respective websites, that FIFA has put together its own list. Check that out over at fifa.com/worldcup/matches. If you’re in the UK, then you’re in for a treat because anyone with access to the BBC iPlayer app on compatible Smart TVs (bbc.co.uk/iplayer/help/live-uhd) can watch in glorious 4K UHD+HDR for free. You’ll need to have a UK TV license, which you obviously do because it’s a legal requirement in order to watch live TV, so have at it. There’s only one thing better than live World Cup football and that’s live World Cup football in 4K UHD+HDR!